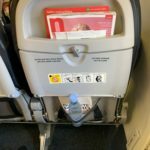 Flew Malaga-London Gatwick on 22 May. First time with Norwegian check in process took 1.5 hours so will definitely do online check in on future flights. Return Gatwick Malaga on 29th May with 86 year old lady who had requested assistance. 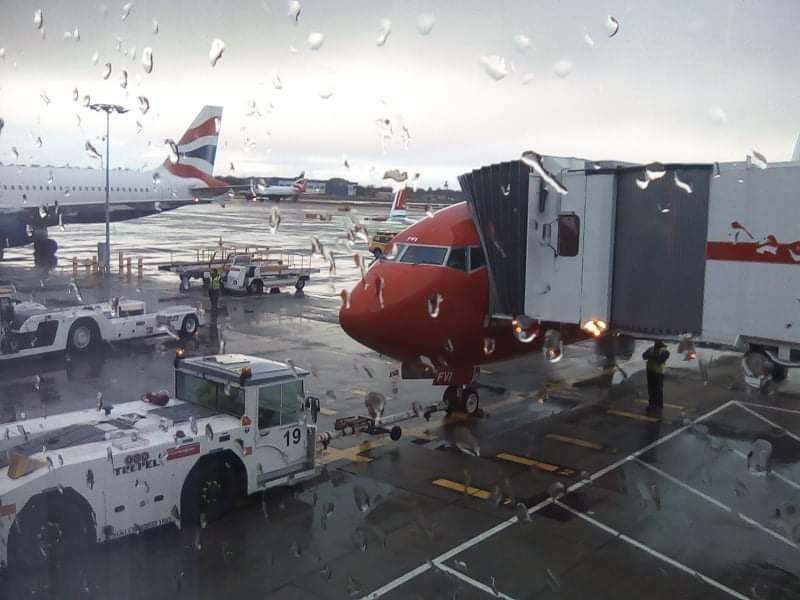 Assistance was OK at Gatwick South (incidentally not as efficient as at Gatwick North) but on approaching the plane realized the girl at check in had allocated seats 29F and E almost at the end of the plane! Not very happy. Food prices are extortionate. ARL-LGW used the check in machine at the airport and from start to finish all went smoothly arriving 10 mins early. B737-800 was new seats and legroom very good all in all a very good product for the price. Flew return Manchester to Stockholm. Flights on time leather seats comfortable food prices a little expensive but Scandinavian airline. Excellent value for money. LGW-AGP-LGW. London Gatwick Malaga return. Pleasantly surprised as the plane was a new 737-800. Very comfortable with Leather seats and good seat pitch. FA were good. The flight was on time both legs. The beverage in the plane are a bit pricey but otherwise perfect. Will definitely fly again. Flew LGW-LPA on 15th April 2013. A great price £131 for 2 with bags and seat reservation. Flight delayed by an hour. Comfy seats TV entertainment no sound but cartoons which are easy to watch. Food prices OTT on the flight so buy before you fly. Waited a while for bags at LPA it was very quiet so cannot understand why it took so long. We have booked again with Norwegian. 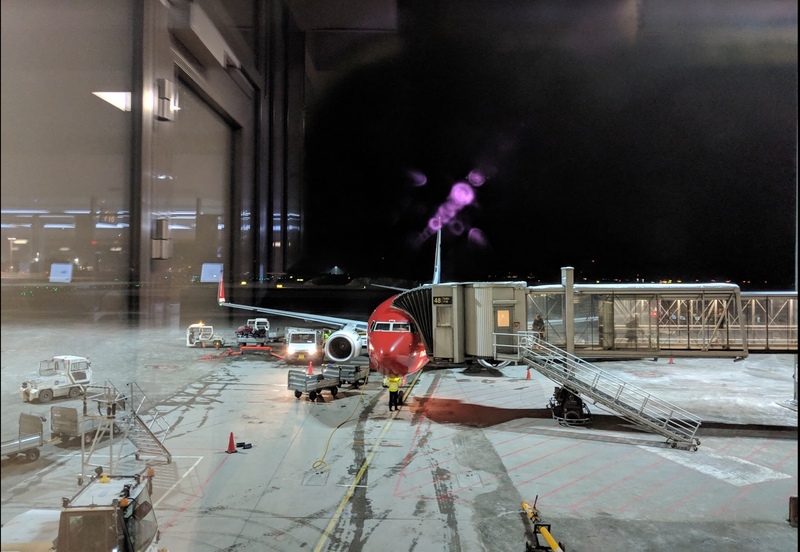 Took a return flight DUB-CPH-DUB at the beginning of April. I fly this route every two months and have never had a single problem with them so far. It's Ryanair-cheap but with a flag carrier quality. Planes are new well clean mostly on time staff are excellent and the entertainment is great specially for the fact that the free wi-fi does work. The only negative point is about the food sold in the plane. They don't accept any sort of cash at all and despite it's good quality it's absurdly overpriced even for Scandinavian standards. Paris/Orly - OSL. Brand new 737-800 with free WiFi. Flight less than half-full thus check-in a breeze friendly ground staff. Flight on time. Seat 1A with excellent legroom. Seats too hard. 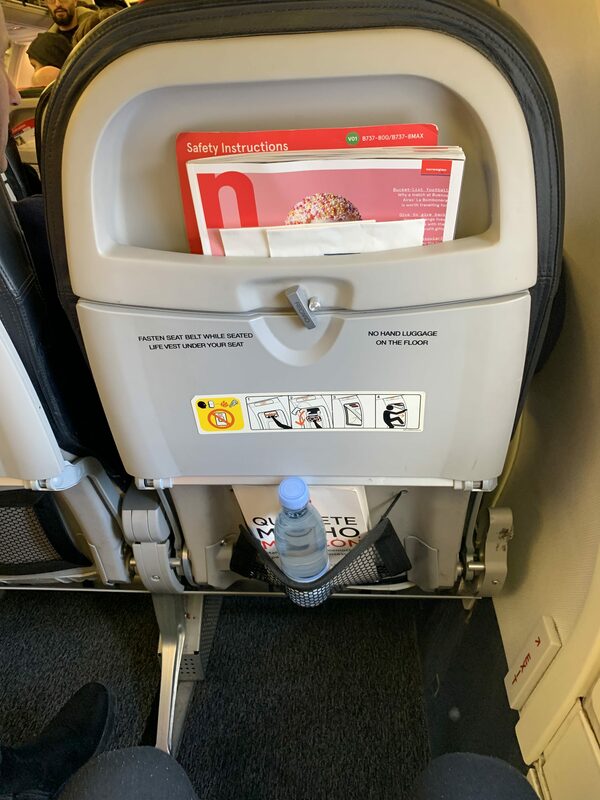 Low-cost carrier so no newspapers. Great cabin staff in forward cabin courteous and smiling. Wanted to buy food on board but menu was unappealing so only had overpriced wine. Cabin lights kept at low (late evening flight) so it was possible to nap. Landed on time. FCO-OSL January 3 2013. Lines at check-in long as expected two counters open. After a while some fellow travelers and I started to clock/time the check-in staff. In my line the lady working at the counter clocked an average of 11 minutes to check in a party of two. Had the flight been on time many of us would had not made the flight in spite of showing up at the airport more than 90 minutes before the flight. Uneventful flight once we got of the ground if you don't mind rock-hard cheap leather-clad plastic seats and horrid "food" for sale. Normally people flying this route buy their sandwiches or salads at the airport to bring along for the 3-hour journey but again no time to do so. Norwegian utilizes this - at our expense - to the full. Thus I am changing to other carriers. 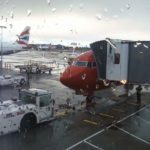 Gatwick to Stockholm and back with Norwegian and would fly with them again. They don't try to scam you with paying extra for this that and the other. You have to pay for meals/drinks which is fair as on a short flight like this I would prefer a cheaper fare than free meals. Seats a little small. Friendly helpful service. Easy check in. The flight back was quite turbulent due to a storm and winds but the crew kept us informed all the time. Very good value for money. And they fly in and out of airports close to the cities not in the middle of nowhere. Glad I found them! My husband and I flew for the first time with Norwegian in January 2013. Overall we were satisfied. 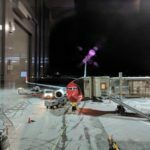 The event that shocked me was when I asked for a drink of water on my second flight of the day (Oslo to Tromso) and was told that I had to buy a bottle of water and there was no water for free available on the aircraft. This is the first time in 35 years of air travel all round the world when I have encountered this. We are encouraged to drink water on flights and security makes it difficult sometimes to bring our own supply.